Posted on November 25, 2013 Categories CoversTags Babes, Magazine, Peter Driben, TitterLeave a comment on Meet The Oil-Bath Girl! Seven Ways To Win A Babe! Posted on November 25, 2013 Categories CoversTags Babes, Legs, Magazine, Peter Driben, TitterLeave a comment on Seven Ways To Win A Babe! 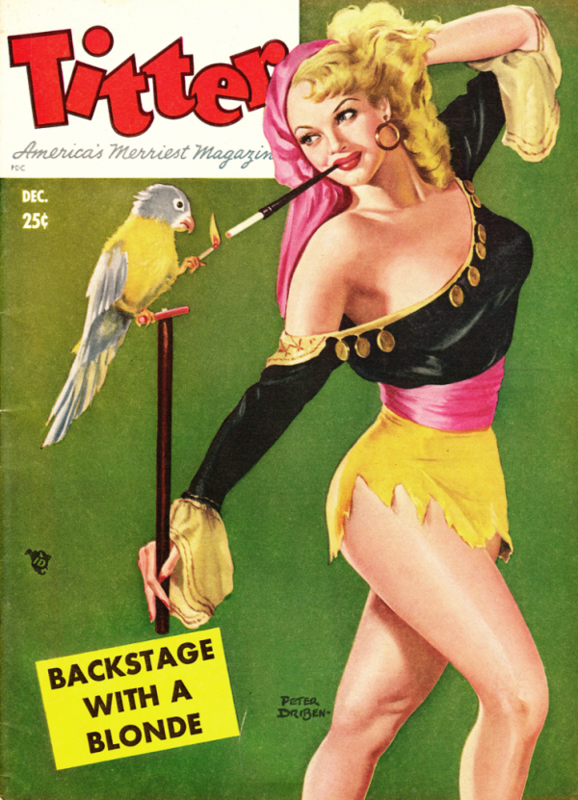 That parrot is lighting her cigarette. Such a gentleman. Gentlebird. Whatever.